This fold over clutch was made by Babs from the Mädchen für Alles blog, which stands, in German, for something in between a ‘Girl Friday’ and a ‘jack of all trades’ as per the author's own explanation. She used reclaimed denim and some scraps for leather she had around. Melissa, from Mahlica Designs created this step by step tutorial for a twisted tuck pleat wristlet. What a great idea! 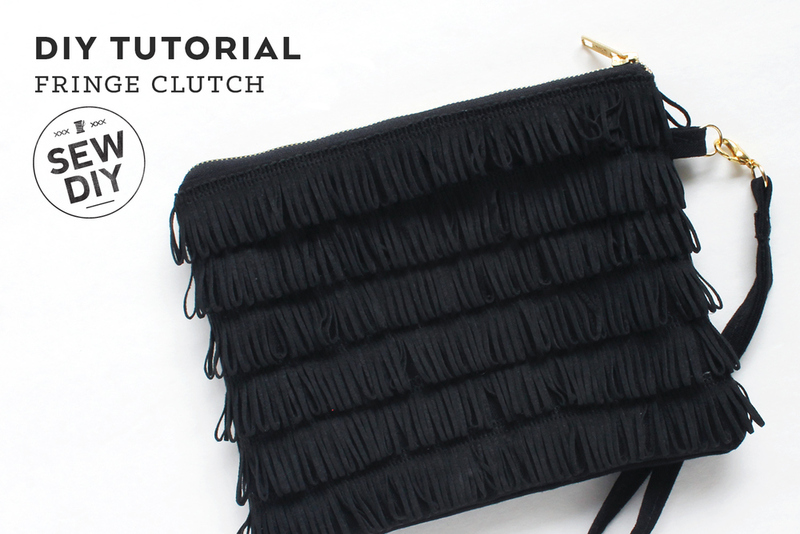 Another great tutorial from Beth of Sew DIY, this time a fringed clutch. Looks like the perfect purse for New Year's! With clear photos and instructions you'll be able to make this in no-time. Which of your tools do you tend to be most precious (a.k.a try to keep away from family trying to use it for cutting strange things such as paper, Christmas tree branches, wire!)? Did you say scissors? 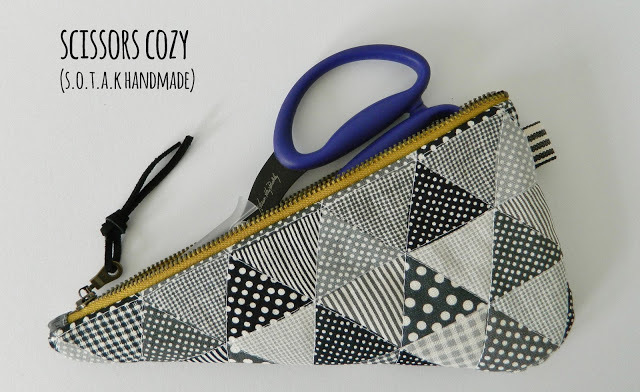 I love this smart scissor cozy made by Svetlana from S.O.T.A.K Handmade. Surely our scissors deserve this? Katie from Running with a Glue Gun (love the blog's name!) 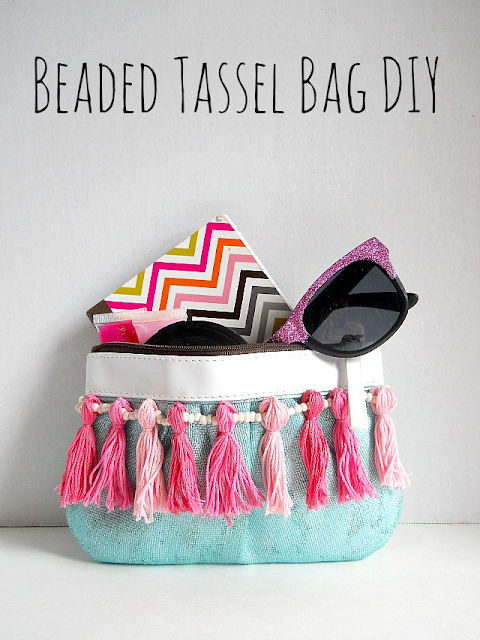 created this colourful beaded tassel pouch. 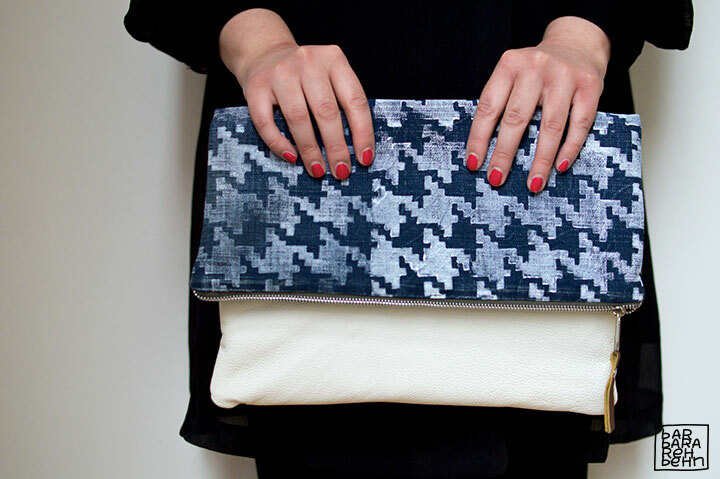 What I like about this project (apart from it being gorgeous) is that Katie painted the fabric after the purse was already constructed. This is not something we always consider, but certainly a great idea! What about you? What has inspired you lately?